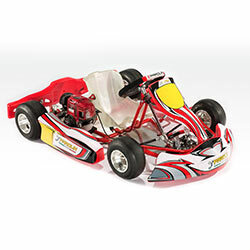 and it presents different types of driving position adjustments in order to adapt it to children of different heights. 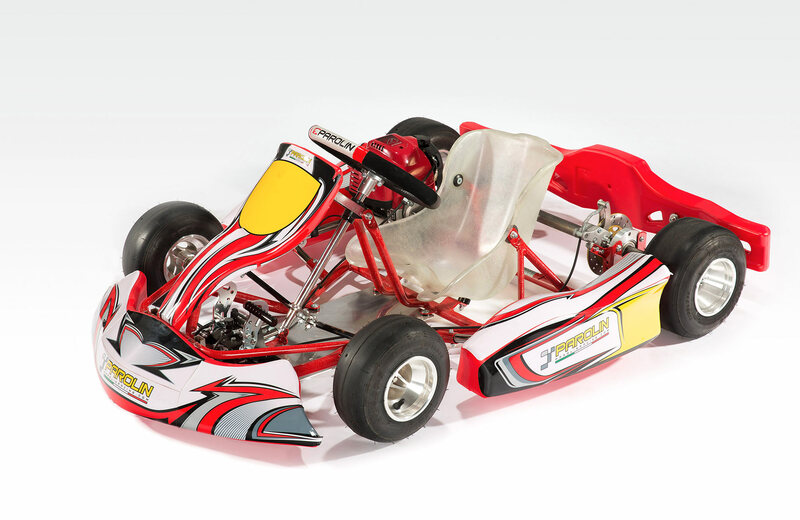 The kart is sold ready-mounted, full fairings and sticker kit. 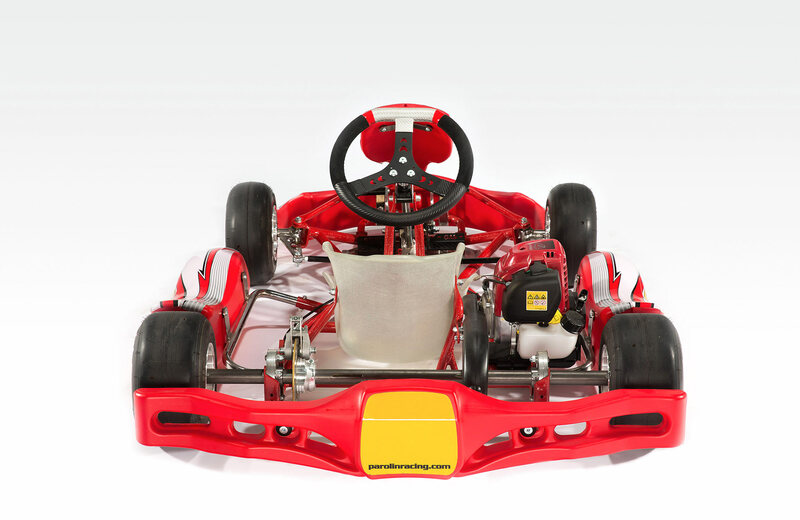 The kart Delfino is the ideal one for starting programs and driving schools. 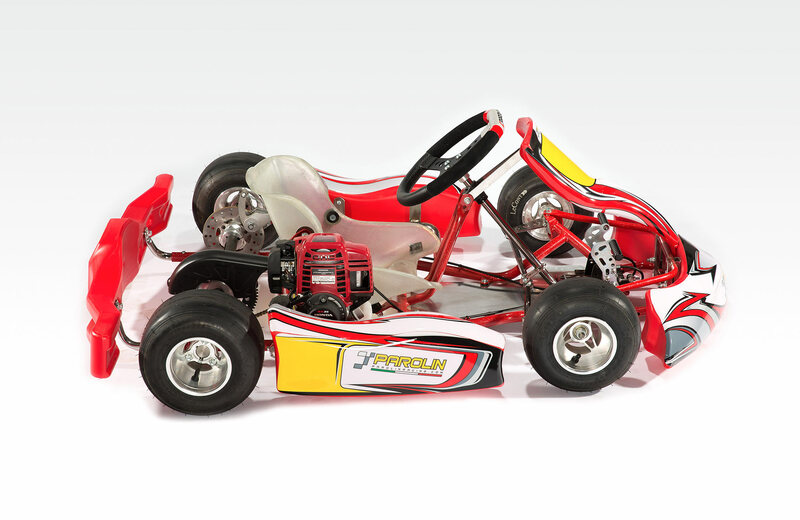 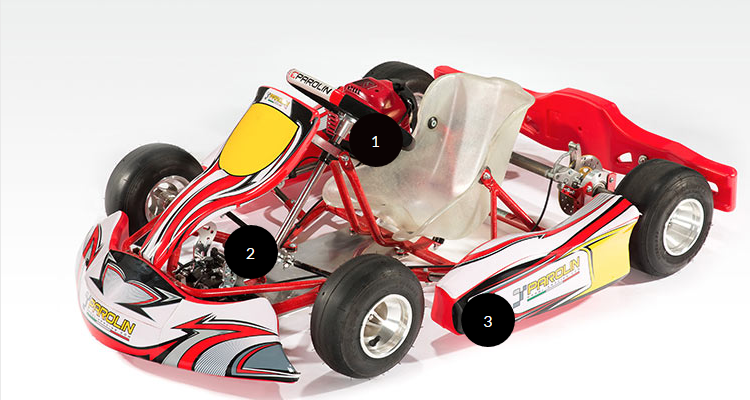 The external fairings give all-round protection of the kart against all types of blows. 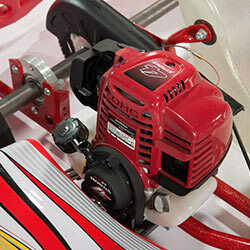 The 35 cc Honda engine is easy to use and reliable. 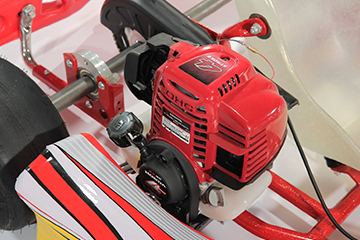 Maintenance, which is reduced to a minimum, is another positive feature for the management of the vehicle. 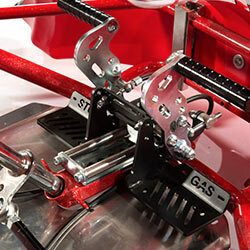 Allows you to adjust the pedals according to the driver's height in a simple and fast manner. 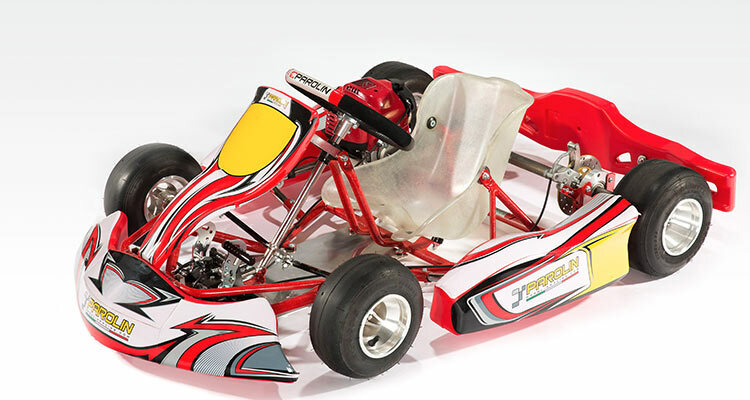 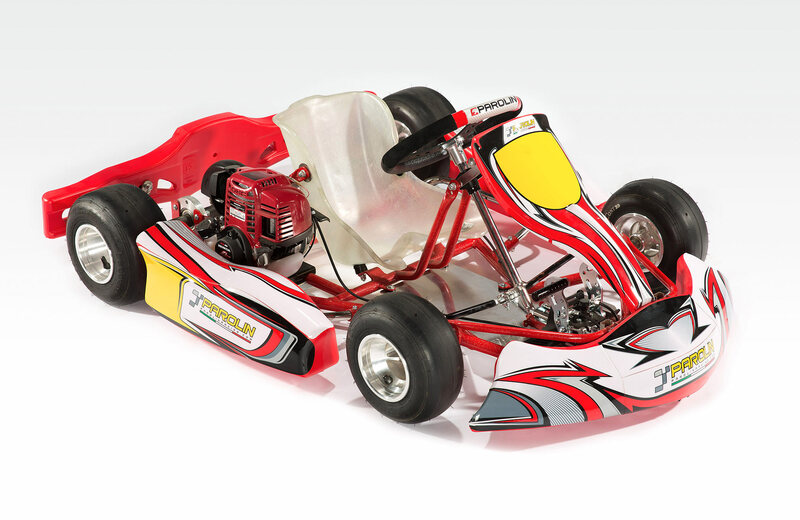 The Delfino kart fairings have been designed to make a little kart look like higher class racing vehicles. 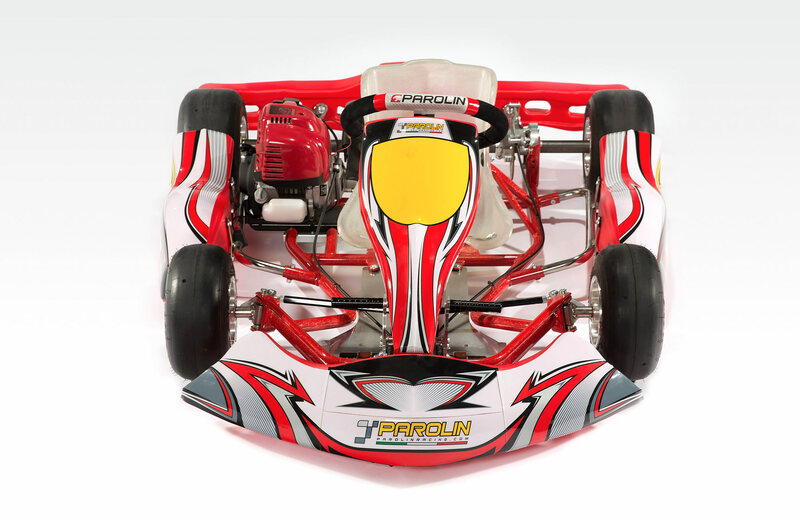 Their shape ensures maximum protection for drivers against blows.